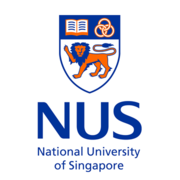 A leading global university located in Asia, the National University of Singapore (NUS) is Singapore’s flagship university, and offers a global approach to education and research with a focus on Asian perspectives and expertise. Its transformative education includes a broad-based curriculum underscored by multi-disciplinary courses and cross-faculty enrichment. Engaging in Persuasive and Credible Communication via Coursera 3 weeks long 3 weeks long 29th Apr, 2019 No reviews yet. Effective Communication in the Globalised Workplace - The Capstone via Coursera 6 weeks long 6 weeks long 8th Jul, 2019 No reviews yet. Establishing a Professional ‘Self’ through Effective Intercultural Communication via Coursera 3 weeks long 3 weeks long 22nd Apr, 2019 No reviews yet. Strengthening Your Widening Network via Coursera 3 weeks long 3 weeks long 22nd Apr, 2019 No reviews yet. Public Relations Capstone via Coursera 3-5 hours a week , 5 weeks long 3-5 hours a week , 5 weeks long 1st Oct, 2018 No reviews yet.